As a wheelchair user, it is impossible for you to use a standard taxi service. 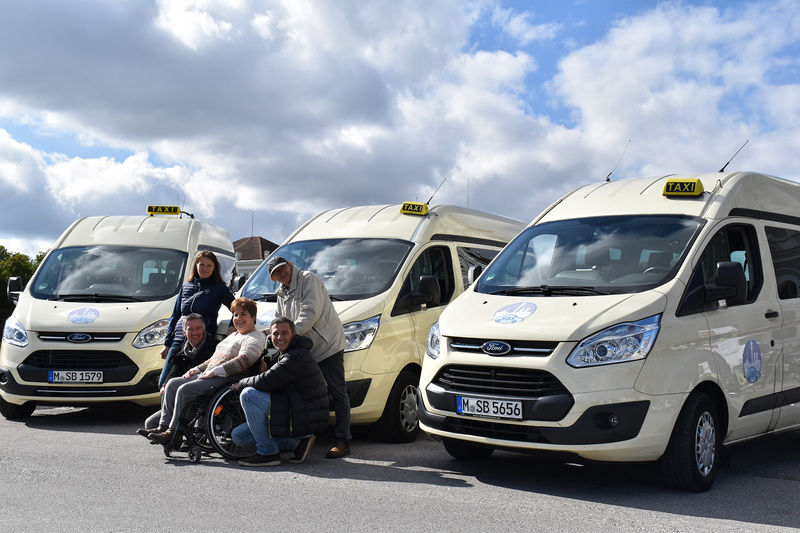 We have specialized in the transportation of wheelchair users as we only avail of high-roof taxi vans, where a safe transportation is possible. 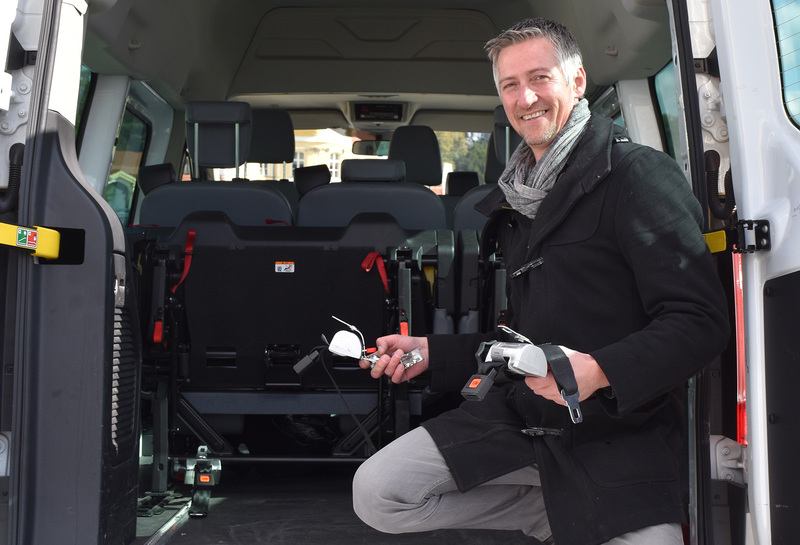 Whether electric wheelchair or care wheelchair – in our taxis, we have enough space to ensure you a pleasant, comfortable and, above all, safe ride. Our core area is the individual service: trips to medical appointments, in therapy facilities, cinema or pub visits, family home trips, transportation to school or work, but also excursions and city tours. Although we are still a quite young business, we have a lot of experience in dealing with people with disabilities based on previous employments. With all helpfulness, our service should be as uncomplicated as possible. We see ourselves as a taxi company that can be booked for all situations in life. We dispense with all features of ambulance. We do not wear paramedical clothing nor do we have our vehicles marked accordingly. We want to guarantee you a maximum of normality and discretion. If you like this idea, please support us by becoming our customer. 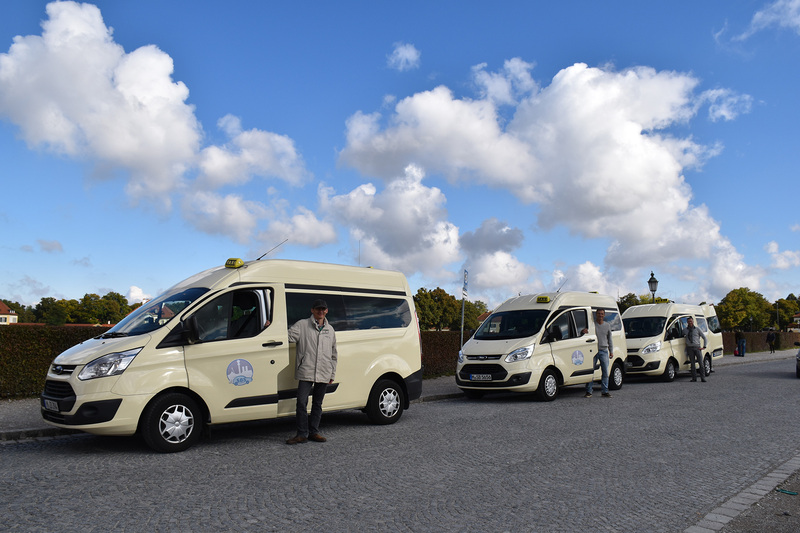 For the transportation of our passengers, we only use vehicles of the type Ford Transit Custom Combi. The design and conception of this car have completely convinced us and our regular clients. 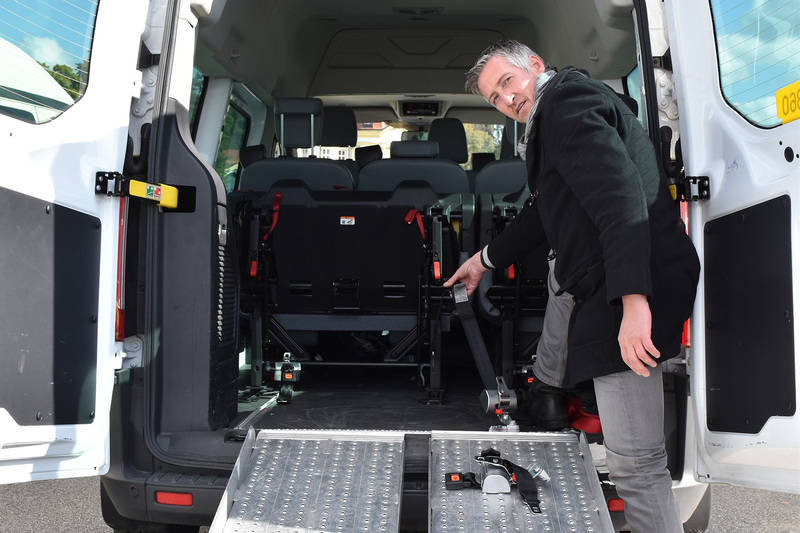 It is a spacious, soft-sprung XXL-VAN, which is ideal for the transportation of wheelchair users. Furthermore, the vehicles are equipped with double air conditioning and auxiliary heating. Via an extra wide pair of rails, equivalent to a ramp, you enter the passenger compartment. Our high roof gives you sufficient headroom. 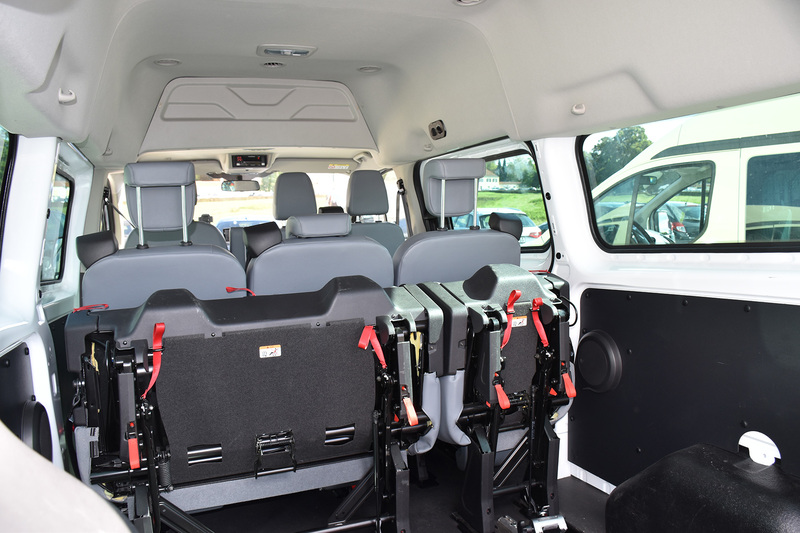 The wheelchair restraint system by AMF-Bruns locks your wheelchair firmly in the vehicle floor. Thus, a safe, comfortable and discreet journey is nothing in the way … let us convince you! As the only provider, we are able to offer you, as a wheelchair user, individual city tours and excursions. For this purpose, we have been trained by the City of Munich (board of tourism) to be official tour guides (www.taxi-guide-muenchen.de). We are pleased to offer you this service in German, English and Spanish. We offer this experience at no extra charge, at the fixed rate. We offer you, as a wheelchair user the possibility of a luggage service to the departure desk / railroad track as part of the airport / station transfer.